Join us at Embrace Martial Arts and give your child the best chance to thrive with our Kids Martial Arts program! Known here as Jits Kids, these classes offer hands-on instruction in the art of Brazilian Jiu-Jitsu with age-appropriate training that can help students all across our community find success. Come see it for yourself. Fill out the short form on your screen to get started or to learn more about everything we have to offer in Wake Forest. 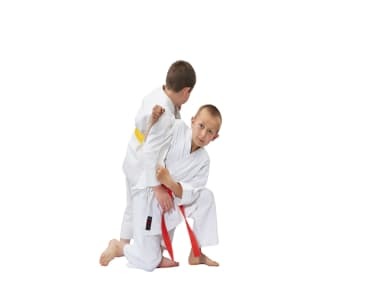 What Makes Our Kids Martial Arts Training The Best In Wake Forest? At Embrace Martial Arts, we're not like a lot of the other schools out there. 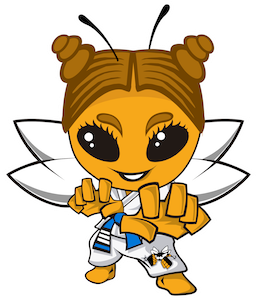 Our training is focused primarily on the skills of Brazilian Jiu-Jitsu and we're proud to be North Carolina's official American Killer Bees representative in partnership with UFC Champion Anderson Silva. With a reputation for offering the highest quality BJJ training possible, our Kids Martial Arts classes are designed to help students learn and grow and have fun like never before. In fact, our very own Joel Garcia is the only Brazilian instructor around that teaches Brazilian Jiu-Jitsu. Our instructors go above and beyond to make sure every child can thrive with individualized instruction and a safe, supportive environment. We take pride in teaching high-quality Brazilian Jiu-Jitsu and helping students learn the skills one step at a time. But we also aim to equip our Kids Martial Arts students with the tools they need to find success in all aspects of life. BJJ is a sport built on the concepts of perseverance and focus - and our team at Embrace Martial Arts is dedicated to instilling those tools in every child who walks through our doors. Join Us In Wake Forest Today For Jits Kids Martial Arts Training! Give your child the best way to stay active and challenge their minds at the same time! Our Kids Martial Arts Classes in Wake Forest are perfect for students of all backgrounds and experience levels. Just fill out the short form on your screen to get started or to learn more about everything we have to offer at Embrace Martial Arts.